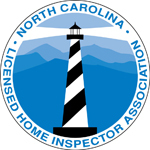 Timothy Arn became a North Carolina Home Inspector over eighteen years ago after 15 years as a home builder on the Outer Banks. Since then he has added many licensures and certifications to broaden the amount and depth of services offered. Tim has strived to conduct quality home inspections and building science services and to build a brand for many years. Beginning with 15 years of living ‘off’ grid, Tim has become a specialist in evaluating Home Energy consumption, conducting consultations regarding Home Energy conservation. FHA Manufactured Home Foundation Certifications.